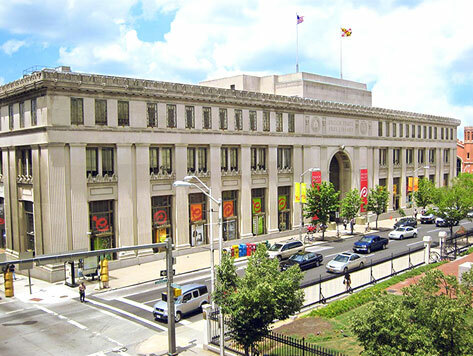 The Central Library is the State Library Resource Center of the Enoch Pratt Free Library, Baltimore’s public library system. The Resource Center offers library materials for borrowing and digital archive materials on Maryland’s history and culture. The library is free and open to the public.